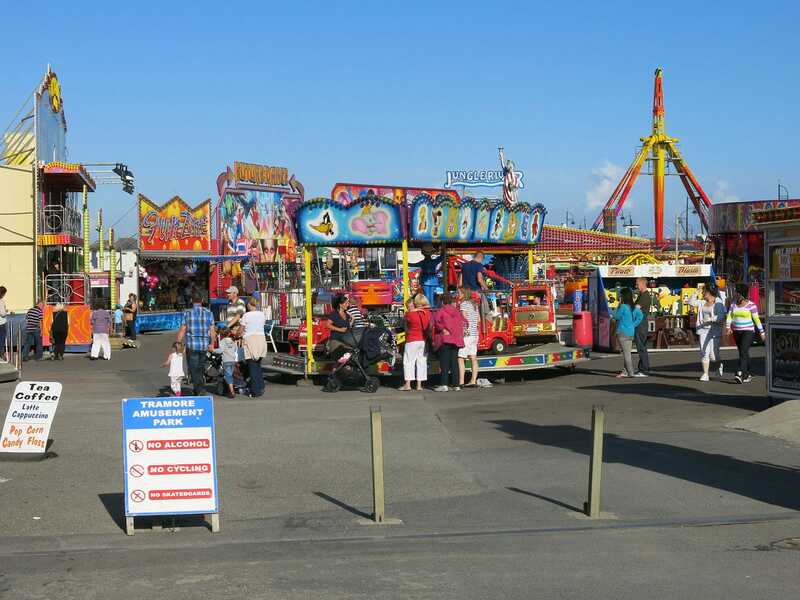 I've made a number of trips to Tramore Amusement Park over the last few years but I've generally not bothered to write about them, mostly because the ride set tends to be taken exclusively from the attractions found on the Irish fair circuit. Today was no different, with pride of place being taken by Crazy Mouse (McFadden). The other side of the park marked a reappearance of Gold Mine Express, once operated by Birds but now owned by a local operator in the Tramore area. This ride was running very slowly today, and something caused our lap bar to pop open each time the train passed through the station. One wonders whether two adults in one car were a bit much for it!